The ford mustang 94-04 series are known for their speed and ability to navigate seamlessly through challenging terrain. The perfect race car with an efficient engine, this vehicle of course wouldn’t always live up to its reputation without frequent and necessary upgrades, one in which involves its suspension and that’s where coilovers come in. The capability of speed, control and suspension adjustments of an automobile has great effect on its performance. A lot of pressure is put on tires and wheels which are held in place by coilovers. The quality and strength of coilovers help to reduce the effect of pressure due to heavy bumps. The ford mustang is no stranger to racing. This car race veteran has the ability of overwhelming speed on tracks. With this in mind, the BC brand devised a customized coilover suited specifically for the ford mustang. The BC racing E-10 BR model of coilovers are made to fit the 94-04 ford mustang( this excludes the 99-04 cobra) . This model of coil over comes with fully packed installation instructions along with a few necessary components need for optimization. The suspension components engineered by the BC company is both suitable for race track and for regular driving. The kit also comes with modification knob used for dampening, height and rebound. The models come with differences in adjustment levels including options for a super low suspension. The BR E-10 coilovers come with these specifications. The convenience of this kit is that each part is available for purchase and is fully reconstructable. Phones, computers, watches … CARS? What Is Apple Up To Now? 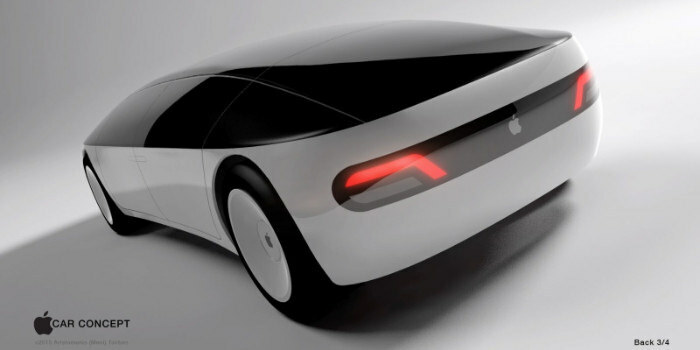 We might see an Apple car within 3 years, if the rumor mill is right. Sensational rumors usually have a short shelf life, but the Apple car project rumor has been making the rounds for nearly 2 years now and has merited its own Wikipedia article, an observation by Tesla CEO Elon Musk and reports from reputed online newspapers such as BBC, Business Insider, The New York Times, The Guardian and The Independent. Steve Jobs is unfortunately no longer with us but according to former directors and VPs of Apple, the co-founder of Apple did prepare a detailed proposal for an Apple car. Nearly 10 years after his death, the realization of the Apple car project, which he had proposed, would unmistakably be a poignant tribute to Steve Jobs and an exciting diversification by the company. Apple has specialized in the production of PCs and smartphones for 40 years and it is consequently unbelievable to many that they will unexpectedly begin producing cars by themselves so soon. It is important to note that Apple already has CarPlay, which allows select cars owners to use their built in displays to get directions, make calls, send and receive messages, and listen to music and is marketed as a “safer way to use your iPhone in the car” on the Apple website. Apple might simply be attempting to create a more comprehensive interface or even an autonomous driving system for other cars. Apple’s latest project, which we can now safely hope is at least car-related, is being called Titan and is speculated to have a 600-1000 engineer team working on it. In December 2016, the present director of Apple confirmed in a five page letter that Apple is, in fact, “investing heavily in the study of machine learning and automation, and is excited about the potential of automated systems in many areas, including transportation”. This is an ambiguous admission, but one nonetheless. 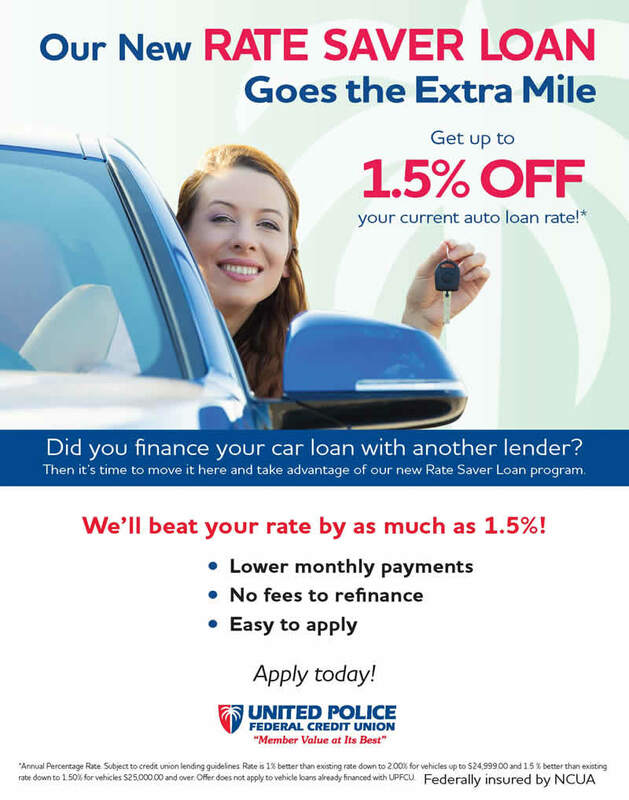 Drivers, rejoice! Apple might truly be hoping to make an automated car. An automated car is a self-driving vehicle. Driverless cars could be significant life-saving technology by eliminating road accidents. Potential competitors such as Tesla and Ford have already acknowledged the rumors. Ford has responded by planning to have self-driving cars on the road by 2021. Tesla is already testing self-driving cars. Elon Musk believes that tech companies such as Apple Google are Tesla’s competitors. Will it be called the iCar? What will its features be? Will Apple’s design philosophy continue to be influenced by Steve Job’s love for simplicity in this latest addition to the Apple family? These are the questions fans are asking now. Setbacks are only to be expected. BMW and Daimler have reportedly turned down partnership requests on the Titan project. It is also being reported that the initiative is increasingly running into roadblocks culminating in Apple laying off employees. If all goes well, the company’s foray into the auto industry should be a successful one. Apple continues to be secretive about it but will hopefully reveal more soon. The vintage cars transcend all other cars in all aspects. Be it the design, the beauty, or the performance despite the mechanical challenges of the past, the vintage cars top the modern cars. Sometimes the vintage cars blow the modern cars away with their unimaginable prices. Here is the mention of five most expensive vintage cars of all time. The vintage car that has claimed maximum price at public auction is the 1962 Ferrari 250 GTO. The Ferrari 250 GTO was auctioned at a whooping price of 38 million US Dollars. This is why it has earned the first place in the list of most expensive vintage cars of all time. Its elegant and aerodynamic design makes it attractive and distinct from others. The durable Colombo V12 engine under its bonnet and its outstanding handling and power makes Ferrari 250 GTO an automotive collector’s dream vintage car. 1954 Mercedes-Benz W196 marks the era which saw historical development of motor cars. This amazing vintage car comes in the second place with an unimaginable price of 30 million US Dollars. Built to be a Formula One racing car, Mercedes-Benz W196 actually won two world cups. Any automotive enthusiasts would agree that Mercedes-Benz W196 justifies its price. If you consider the innovations such as the direct fuel injection in its powerful engine just like the World War II fighter plane, you can understand that Mercedes Benz W196 was way ahead of its time. Mercedes-Benz W196 is definitely a legendary motor which rightfully deserves a place in the list of the most expensive vintage cars of all time. Classic styling like on this W196 really makes tilt our head and start to think where wheel designers and manufacturers come up with wheel designs. One thing is for sure is that the designs are not that of unique and you can immediately spot similarities to that of a Enkei RPF1 when you look at the wheels that came on this classic benz. OEM wheel designs that came out in the early 60’s and 70’s truthfully were timeless and you can clearly see where a manufacturer would start to piece together inspirations and design ideas. Companies like Enkei need to generate ideas somewhere so, what better place than to look at past OEM design and let the creativity flow. The next on the list of the most expensive vintage cars of all time is the 1961 Ferrari GT California Spyder SWB. This car was sold at a mind-blowing price of 11 million US Dollars. Just like any other Ferrari, it has the durable and the very powerful Colombo V12 engine which comes with two carburetors. This model has a very sleek and classy design that defines the true essence of the car industry of that era. Ferrari GT California Spyder SWB has a rich history of owners. Many famous persons have either owned or drove this art of the car industry. Many believe that this has affected its price to surge up. Commonly known as the Royale, Bugatti Type 41 was made between 1927 and 1933 and sold for 10 million US Dollars which is exactly why it makes the list of the most expensive vintage cars of all time. Originally designed and built exclusively for the rich and powerful people, Bugatti Type 41 is a magnificent car by any standard. Bugatti Type 41 is of the biggest vintage cars to be made in the world. Even its engine is probably the biggest car engine ever made. Initially Ettore Bugatti wanted to build twenty-five units of this car but due to the crisis in the world he did not succeeded. Only six of them were made with each having their own personal name and the unique specifications. 1965 Shelby Cobra Daytona Coupe is the most expensive American car ever sold at auction for just over 7 million US Dollars. Although it was built in Italy, this masterpiece was still retains the American quality. The Italian aerodynamic design has only redefined the car’s performance. Shelby Cobra Daytona Coupe was built with the intention of beating Ferrari. Although more price was expected, but still today it is a masterpiece on its own right. What makes a great car? Is it the luxury features and flamboyant interior? Is it the structural design and the wheel fitment? Oh….. Wait the engine! The power house built and divided into chambers with the most intricate alloy technology which utilizes combustion of fuel to generate power and speed for road and track performances. There are hundreds of engine brands, unique and quite powerful but the one engine model that has caught the curiosity and attention of enthusiast in the automotive industry is the Duramax. Let us take a trip down memory lane to further emphasize the quality and resilience of the Duramax engine. The LLY was built to cover up the lapses of the first model. It was designed with a valve train which greatly improves maintenance access. It also comes with turbo charger for better throttle performance and an exhaust gas re-circulation mechanism. It runs at an improved 310hp at 3,000 rpm and 650lb-ft at 1,500rpm. The LBZ featured stout connection rods, higher pressure levels on fuel injection, brand new pistons, and improved control of emission. It runs at an increased 360 hp and 650lb-ft. this model was an all-time favorite and still continues to make waves at the used truck sales. This model was the first to be manufactured with diesel particulate filler along with other enhancements such as closed ventilation mechanism. It offers 365hp at 3200 rpm and 660lb-ft at 1,600rpm. Reduction in emission was what set this model apart from its predecessors, along with improved fuel circulation system that could hold B20 diesel which was a mixture of 80% diesel and 20% biodiesel. These changes definitely created an upscale in performance, durability and rigidness of the engine. The numbers on the capacity has improved, running at 397hp and 765lb-ft of torque. A turbo charged 6.6L v-8, 335hp and 685lb-ft. this model was specialty designed for the GMC savanna and the Chevrolet express. This brings us to the most updated version which completely makes up for all the challenges experience in the series. This model was made to improve fuel economy durability and reduce emission. It hoards a 445hp 910lb-ft torque. This highly competitive model brings out the genius in the Duramax brand. At this rate the automotive community cannot wait to see what else the Duramax brand has up its sleeves. The expectations may be pretty high but the brand has always given above a 100% on every new production so we can expect nothing but the best. Whenever the topic of cars is raised- many environmentalists show their immediate hatred towards it. Their reasons are completely justified: cars burn fossil fuels and produce greenhouse gases, which at this time of increasing pollutions is not at all helpful. The never ending search of the automotive industry to make the car that is 100% pollution free made a major breakthrough with the invention of hybrid cars. So, you must be wondering what a hybrid car is. Is it a car and cycle together!? Well, hold your horses as the hybrid cars are not that different from regular cars. A normal car uses an internal combustion engine which is a great thing for people who love great amount of speed and thrusts in their vehicles. On the other hand, internal combustion engine is majorly responsible for emission of greenhouse gases. An electric, as the name suggests runs on electricity-however motorists don’t prefer it due to the not-so-fast speed it has. In terms of pollution it does little. Now imagine the ‘gene’ of an electric car is mixed with that of an internal combustion engine car. Yes, you probably guessed it right! Hybrid car is a car that uses two or more distinct types of power. For example: an electric motor plus internal combustion engine. Pretty cool right! Hybrid cars have the biggest advantage of giving the user the chance to switch from internal combustion engine to motor engine in a blink of an eye. So, how to fully utilize this? Well, in a busy city road or on a road with low speed limits use the electric motor power as horse power is not required. Thus, you lower carbon emission. When, however, on an old country lane where the roads splits the endless fields and is as empty as the desert-that’s when you can switch to internal combustion engine and feel the air graze against your skin and feel the utter joy of driving a car.. Although hybrids have flourished and almost every big car manufacturers, like Toyota, have included at least one model in their productions- many have had complain regarding the all so expensive battery! You see, the extra money that you are paying for the hybrid cars is actually the price you are paying to save the world. Now let this sink deep in to your hearts. Today the concept of hybrid has developed immensely and there are many cars which run on a hybrid fuel! Not only that there are also fluid powered hybrids-you may be confounded hearing this so let me give a brief intro on it: this type of car uses an engine to charge a pressure accumulator to drive the wheels via hydraulic or compressed air, in most cases the engine is entirely removed from the drivetrain so its purpose remains to charge the accumulators. It has a seamless transmission and the regenerative braking helps to restore some of the pressurized energy. Hybrid cars are a great development of the automotive industry-hopefully in the future cars will make everyone happy without harming the earth and our pockets.